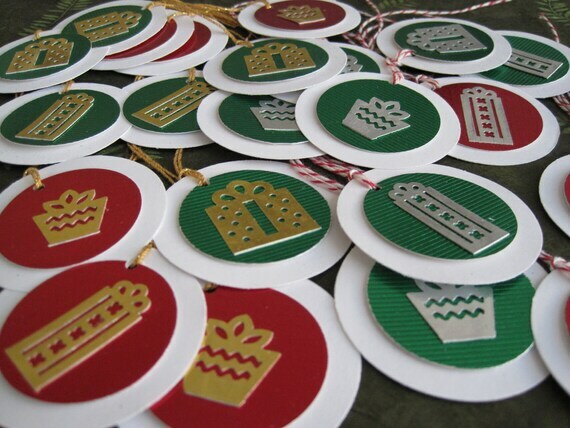 This set of 24 round holiday tags are adorned with gold or silver metallic cardstock. The tags are made using quality cardstock in metallic silver, metallic gold, metallic red & metallic green and textured white cardstocks. Each has an attached gold metallic string or red & white baker's twine, so you can easily attach the tag to a wrapped gift or to some homemade goodies for the holidays. Each tag is 2â€ round.